Mobile app development may or may not be easy, who knows? But it certainly is not a child lay because the biggest concern in mobile app development is to protect the privacy of the user which is continuously at risk due various security risks. As we all know that Google’s Android is the most widely used mobile OS platform and this makes it that much more prone to cyber-attacks and hacks. The grim truth is that despite Google’s consolation the threat to Android’s security still exists. But the question here is how real are these vulnerabilities and how much potential damage they can cause to the user and if android is safe at all for the enterprise mobility solutions? 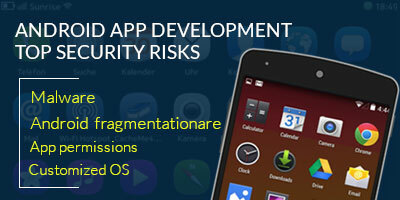 This article will address the top security threats which an app developer must take into account while coding the app. 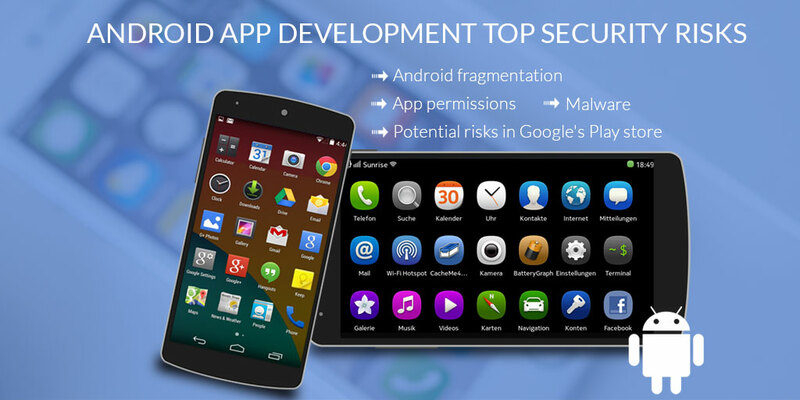 Android is an open source OS and when things which are available for free are not managed properly; users security is at risk and one of the biggest potential source of threat is Google Play. According to the experts the store is not a well policed environment and is at the increased risk of hosting the apps which can contain malware and spyware. Also, when users install app from the play store they do not pay attention to the extent of permissions which the app is asking for. They simply accept the permission and install the app. These malwares aim at sending the personal information to the server in hopes of hacking the personal account. Fragmentation is one of the serious concern of the Android based devices. Fragmentation means that multiple version of the Android exists even on the latest devices and some of those devices are never updated to the latest version which makes them more of a potential target. These devices never update to the latest version when Google does. This is most challenging problem for the app developer as fragmentation creates unique experience for each device which is often a great risk. It becomes more difficult to teach the users about the potential vulnerabilities as they are using totally different versions. It is impossible to provide a single security solution. Most of the time developers do not understand what type of permissions the mobile application actually needs. This misunderstanding often results in overzealous permissions. At the same time app users have the tendency just to accept the permissions which the app is asking. Apps should only request for minimal permissions which are necessary for the total functioning of the app and users must see what type of permissions the app is asking and must not accept if the permissions seem irrelevant. These vulnerabilities in the mobile app development scenario poses great security risk and users can get compromised anytime. Customization is another threat which comes with the Android. Device manufacturers often customize Android to make it function optimally on their device. They can make any tweak to the OS they like and also users go on modifying the OS, by integrating the launchers from third party which can create some serious security apps.